…Chemical weathering of silicate rocks is a primary drawdown mechanism of atmospheric carbon dioxide. The processes that affect weathering are therefore central in controlling global climate. 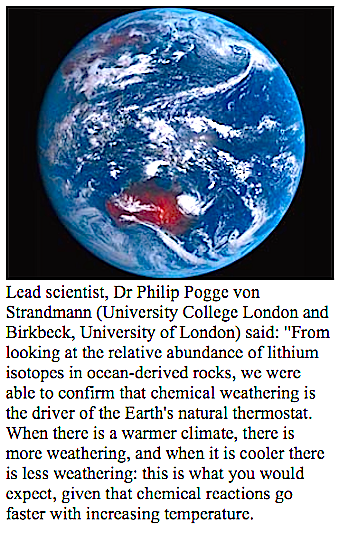 A temperature-controlled “weathering thermostat” has long been proposed in stabilising long-term climate, but without definitive evidence from the geologic record.